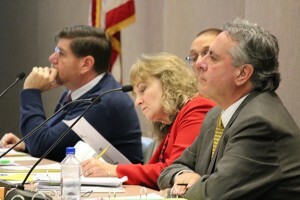 Amidst the passage of bills in both the House and Senate that would change the makeup of the State Board of Education – including removing the state superintendent as the chair – the governing body meets Wednesday for its monthly business meeting. Preliminary cut scores for the CORE assessments for prospective teachers. Pearson ES and the IDOE conducted studies with teachers to update the passing rates for those seeking licensure through the CORE assessments. If passed, the scores will be open for public comment for 30 days. The board will take another look at the appeals process for schools contesting their A-F grade. 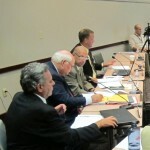 Under the resolution, schools have 30 days to submit their appeal to both the SBOE and Department of Education if they have reasons “based on objective factors the school considers relevant, including significant demographic changes in the school population, errors in data, or other significant issues.” The resolution incorporates the board into the appeals process rather than just with the IDOE. Indianapolis Public Schools will update the board on its three “transformation zone” schools: Broad Ripple Magnet High School, John Marshall and George Washington. IPS will also present its plan for Arlington High School, which it is trying to get back after the state took it over and handed it to charter school operator Tindley, which abandoned its contract last fall. There will also be an assessment update for the new ISTEP+ to be administered this spring. Director of Assessment Michelle Walker will present on the state run stress tests that will be completed this month. With a new test and move to a cloud-based system, many schools have already experienced trouble with the technology portion of the test. The meeting convenes in the Indiana Business Center South at 9 a.m.